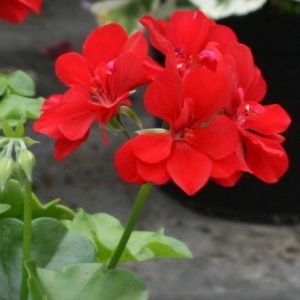 Six Jumbo Plugs, Rich dark red single flowers. 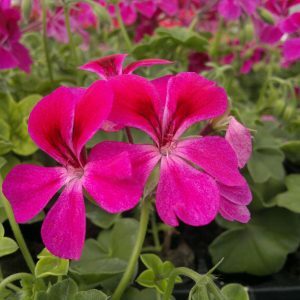 The Happy Face range has large bold single flowers that are very striking.They have a strong growth habit that enables them to make up into a fantastic hangng basket display. 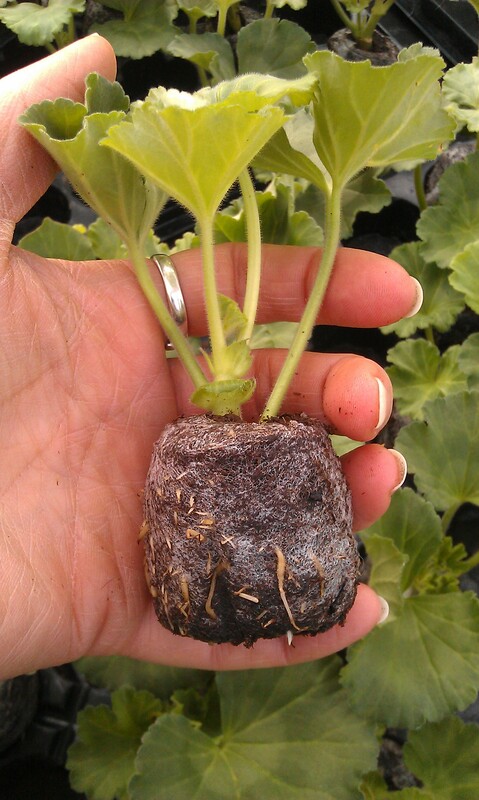 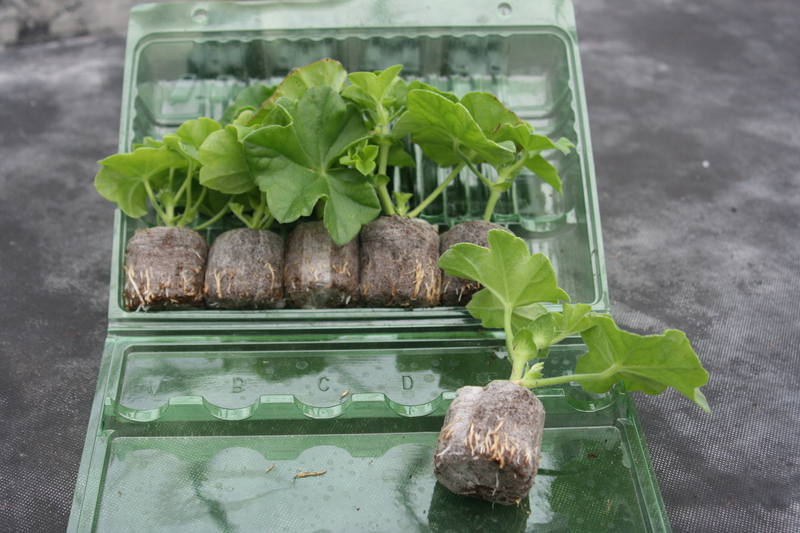 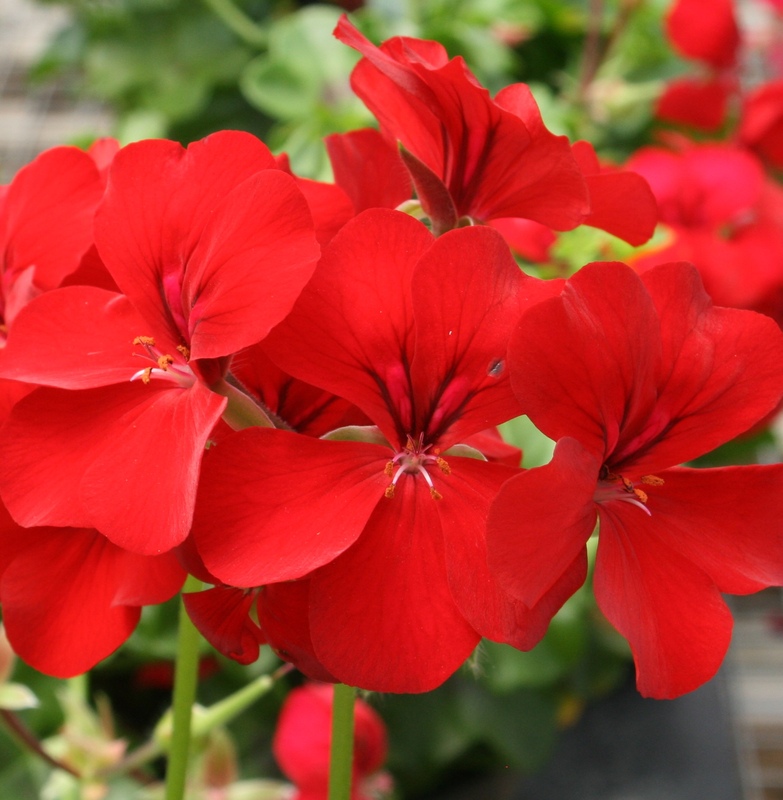 Feed them regulary through the summer with a high potash liquid feed to help flower production. 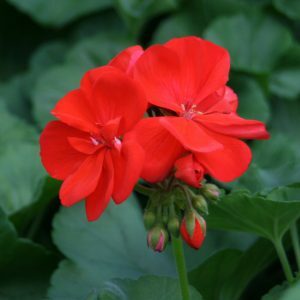 Feed weekly. 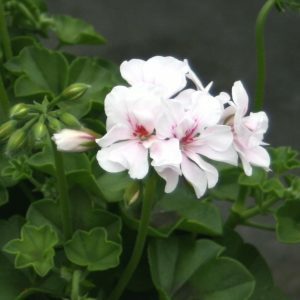 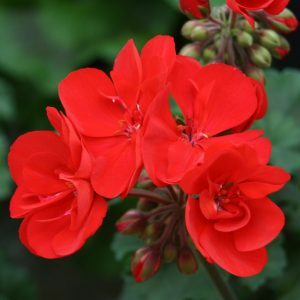 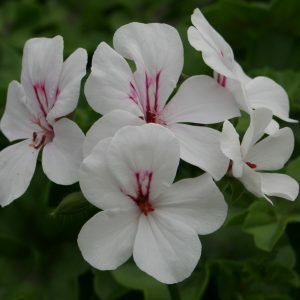 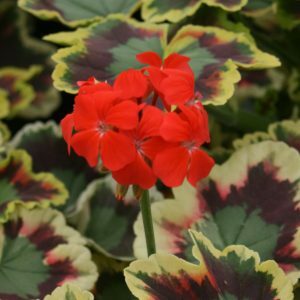 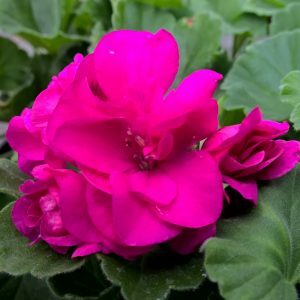 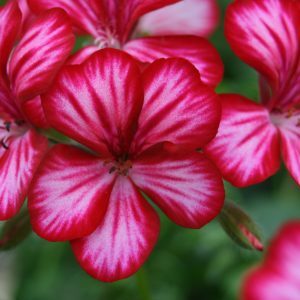 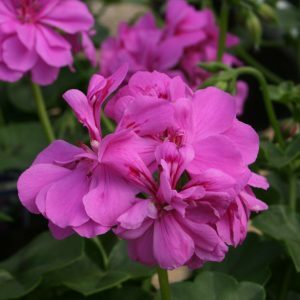 This is almost the perfect match to one of our upright red Zonal Pelargoniums Abelina, plant them up together and they make a stunning display.